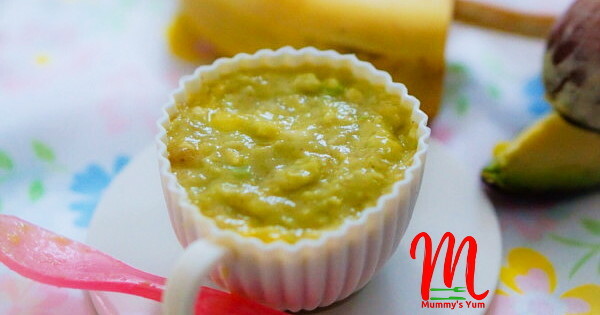 This combination of avocado banana and mango fruits makes a delicious baby puree for your baby. They are all fruits that require no cooking before you can give to your baby and once pureed or mashed, it can be served alone or added to their pap, porridge custard or even mixed into pancake batter for a fruity breakfast pancake or finger food. Some babies may not like avocado, so adding the sweetness of banana and mango helps them enjoy the natural goodness of avocado as well as those of the other fruits. I added a dash of spice as i am going to be introducing more. You can always add you choice of spice and remember to observe your baby for any reaction whenever you introduce any new food or spice. Peel off the back of the mango, cut the flesh into chunks and puree. Mash banana and avocado together, mix with the pureed mango and cinnamon. Serve chunky for older babies or you can blend it all up for younger babies. 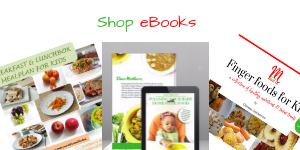 Get more avocado recipe ideas you can try for your baby. 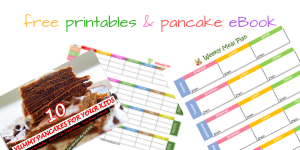 You can also find more baby fruit and vegetable purees, other foods for baby and toddlers too on Mummy’s Yum. Your feedback is always appreciated, do drop a comment and don’t forget to share with your friends by clicking the share buttons. what is the ideal baby age for this? Hello Nelly, from 6 months.